In this entry in the RPG Codex retrospective interview series, we are happy to offer you an interview with Timothy Cain. At Interplay and then at Troika Games, Tim Cain designed some of the RPG Codex' all-time favorite CRPGs: Fallout, Arcanum, and Temple of Elemental Evil. 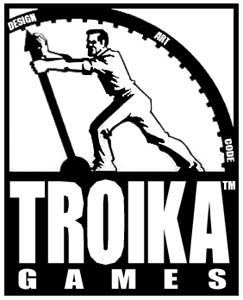 After Troika closed its doors in 2005 due to financial problems, Tim joined Carbine Studios as the programming director to work on an MMO, until in 2011 he went on to become senior programmer at Obsidian Entertainment, where he is now working on South Park: The Stick of Truth. The interview deals with Interplay and Troika, Fallout, Arcanum and Temple of Elemental Evil, as well as Tim's thoughts on RPG design. We are grateful to Tim for taking time to answer our questions in detail. To begin with, can you tell us how you got involved with video game design in the first place and how you found yourself at Interplay in particular? I spent a lot of time in high school working in their computer lab, and I had met a lot of older students who were in there. One of them graduated a couple of years before I did and went to work for a small computer game developer name Pegasus Software that made computer games that could be played over a cable TV network, using the cable box as a console and the remote as a controller. It was really ahead of its time for 1981. The company was having trouble creating art assets for the game. There were specific rules about color and layout that the hardware required, and it was hard to find artists who would understand and follow these rules and still make good art. They wanted to make a tool to help the artists, something like Paint that would restrict the artists to following the rules automatically so they could just concentrate on the art. Neither the PC nor the Apple II could display the resolution or color space needed by this tool, but the Atari 800 could, and I had [been] programming that hardware for a couple of years when my friend who worked there called me and asked me to apply for the contracting position to make the tool. I interviewed and the company liked me, but I was only 15 years old so they couldn't hire me. I was surprised when, a few months later when I had my birthday, they called me and asked if I was still interested. In that time, they had not found another Atari graphics programmer, so I said yes and found myself employed in the game industry. I worked at that company for the next five years. I graduated from high school and went to college, but I would come back and work there during the summers. They changed their name to Cybron when another company in Virginia named Pegasus claimed earlier ownership of the name, and they landed a deal with Electronic Arts to make Grand Slam Bridge. I worked on the bidding, playing and deck maintenance code for that game, but I graduated from college and moved to California for graduate school before it shipped. I found out years later that they didn't put my name in the credits. While this disappointed me, I hadn't really planned to go into the game industry as a career. I was working on my Ph.D. in Computer Science, and I planned to become a professor and work in academia. What were the pen and paper RPGs that influenced you the most as a systems designer, and in what ways? I played a lot of pencil and paper RPG's, but D&D was my biggest influence. I had played it since I was fourteen, both as the DM and a player, and I loved the open-ended quality it had. My friends and I could make up any fantasy adventure story and make it work in that game, and that really set it apart from the board games and card games that I had grown up with. GURPS was another huge influence on me. With its generic system that allowed any setting to be used, I could finally make up any adventure story and it would work. Science fiction stories set in space, super hero adventures, a psionic system that was balanced... GURPS opened my eyes to the world of adventure beyond the realm of fantasy. And I liked the idea of learning one system as a the core, and then you simply added new skills and advantages based on whatever genre you were playing. I thought it was brilliant. How would you describe the atmosphere and company culture at Interplay when you worked there, and how did it develop into the situation that prompted you to leave the company? When I started at Interplay in 1991 as a contractor, there were less than 40 people there. In fact, when I got hired the next year, I was employee number 42. That small number meant we all fit in one building, everyone knew everyone else, and you knew about every product being made. The company felt almost like a family. When I left Interplay in 1998, the company had over 600 employees, spread over multiple buildings and several countries. Games would ship that you never even knew were in development, and licenses were purchased and developed in secret. 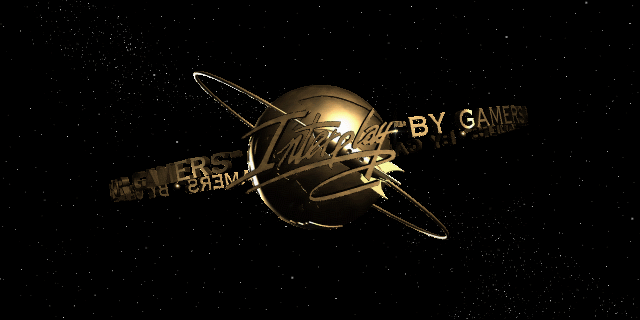 Lots of development was outsourced to outside development studios, so Interplay felt more like a factory than a family. In an earlier interview, you admitted Fallout's AI was "very simple," but you also said it was the best you could do because you "ran into all the problems rules-based systems have." Can you talk a bit about what those problems are? Given that you left Interplay midway through Fallout 2's development, how did the resulting game differ from the original design you had in mind for it? You claimed to enjoy Fallout 3, and I'm going to assume you also enjoyed Fallout: New Vegas. From a design standpoint, how would you compare Fallout 3 and New Vegas? What did New Vegas do differently from Fallout 3, in your view? I did enjoy both Fallout 3 and New Vegas. I know that surprised some of my fans, who wanted me to hate the games and rail against their design choices (which I have repeatedly pointed out were different than the ones I would have made), but there is no arguing that more people enjoy the modern versions of the franchise than the older ones. If I were to compare the two games, I would say that Fallout New Vegas felt like it captured the humor and style of the Fallout universe better than Fallout 3, but I have to hand it to the FO3 designers for developing VATS, a cool twist on called shots for a real-time game. I also loved the set decoration FO3. There was so much destruction, yet obviously everything had been meticulously hand-placed. So much story was told entirely through art. I ended up naming these little art vignettes and creating side stories in my head about what had happened. There was "The Suicide", a dead guy in a bathtub with a shotgun, and I figured he just couldn't handle life after the bombs. There was "Eternal Love", a couple of skeletons in a bed in a hotel room, forever embracing each other. There was "My Last Mistake", the corpse in the temporary one-man fallout shelter which obviously didn't do its job of keeping out the heat and radiation. My favorite was "Desperate Gamble", where I found a feral ghoul in an underground shelter filled with lab supplies and lots of drugs... except for Rad-X. I imagined that a scientist found himself irradiated and desperately tried to synthesize some Rad-X to cure himself before he succumbed, but he was too slow. I did notice that whatever was left of his mind sure did seem to enjoy toilet plungers. If I had to pick something I didn't like about FO3, I would pick its ending. I hated the ending. There, I said it. I didn't like the sudden problem with the purifier, and I especially didn't like the lack of real, meaningful multiple endings beyond what I chose in the final few minutes (FEV or not, me or Lyons, and that was it?). But the worst thing about the ending was there was no mention of the fate of places I had visited. In my head I had already imagined slides for Megaton, the Citadel, Rivet City, Underworld, GNR, the Enclave or the mysterious Commonwealth. But I got... pretty much nothing. As Leonard Boyarsky put it in a past interview, "being original is risky." Do you believe originality, and the fact it did not sell, was one of the reasons Troika was not able to survive? If you had to list the most serious problems that haunted Troika and eventually led to its demise, what would they be? In saying “being original is risky”, I think Leonard was referring to the fact that publishers looked for proven hits, either in big mainstream titles or in sequels to popular products. I don't think Troika closed because we were trying to be too original. We closed because we were not getting contract offers for products we wanted to make, so we voluntarily shut down while we were still in the black, financially. We could lay off employees with severance packages and extend their insurance for a few months, rather than just shut down with no notice and kick everyone out. For Arcanum, Troika designed a complex character system that did not rely on an existing P&P ruleset. How did you approach the task of designing such a system, and what were the main influences on it and challenges involved? Leonard, Jason, and I had made character systems before, but in the case of Arcanum, we wanted the system to reflect the setting. This meant that not only would there need to be magic spells and technological skills of some kind, but there would need to be a mechanic that measured the character's aptitude with each. We wanted the struggle between the magic and tech that was taking place in the world to exist within every character as well. If you are good at magic, you are not as good at tech, and vice versa. And this naturally meant that a jack-of-all-trades character could be good at both, but not great at either. 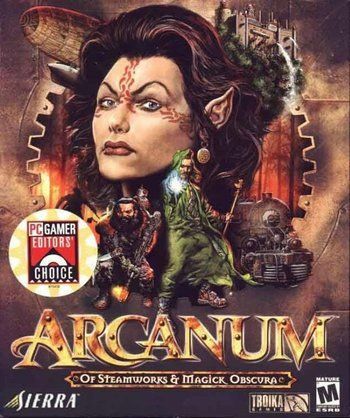 The game's sheer scope, mutually exclusive choices, optional content and mastery quests for each skill make Arcanum an extraordinarily replayable CRPG. Why did you decide to focus so much on choices and non-linearity, and what motivated you to take a large-scale approach as opposed to making the game more compact? What locations and quests did you personally design for Arcanum, and which one(s) are you most proud of? It's been so long that I honestly do not remember. I know that Leonard, Jason and I had worked out the main story arc before hiring anyone to the project, but many of the sites at the end of the arc, especially in Vendigroth and the Void, were just vague ideas. Other people with better dialog and map design skills than me did the actual layout of those quests. It is known that Arcanum’s sequel, Journey to the Center of Arcanum, was supposed to be a first person game using the Source engine and eventually led to Bloodlines. Can you tell us more about the plans Troika had for the project? Are there any details you can share about the setting, story or gameplay you wanted the sequel to have? 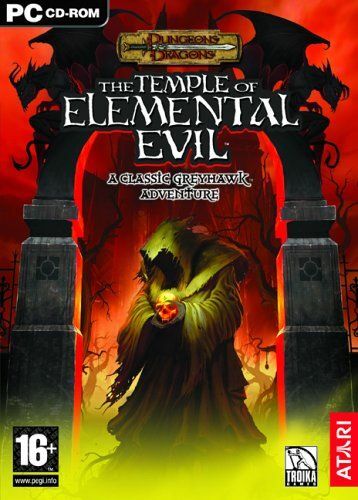 What were the guidelines you had in mind when adapting the 3.5 D&D rules for Temple of Elemental Evil? In particular, some believe that ToEE was perhaps too rigid in its implementation of the original module. Would you agree with that kind of assessment? We were trying to recreate the original Temple module, something that had required a group of players and a DM, in a computer game using the 3.5 rules. In hindsight, yes, I think I stayed too close to the original module, which contained a lot of nonsensical plot lines, characters and items. While we were making the game, I spent two hours each week playing tabletop D&D with the development crew, so they would see what the tabletop experience was like. I used a module of my own creation, and many of them liked it better than the Temple module. Perhaps it would have made better source material. ToEE seems to be a very polarizing game. Some claim it has the best and most faithful implementation of turn- and party-based combat in a CRPG, while others harshly criticize the game’s content and encounter design. What were your goals with ToEE, and to what extent do you feel you succeeded in them? Is there a design decision implemented in the game that you could call your least favorite one? Speaking of the criticism directed at ToEE, Hommlet seems to be one of the most widely criticized "hubs" in a CRPG. What were the main principles behind Hommlet's design, and how do you feel about it today? After Troika closed its doors, you worked on an MMO at Carbine Studios. Do you still feel the same way about MMOs considering the state of the economy and the failure of Bioware's high-budget Star Wars: The Old Republic? Given that you are currently working on Obsidian’s South Park RPG, does the "casual" nature of the title influence the way you approach it? Generally, how do you think one should approach designing a more "casual" kind of CRPG? I am not in a designing role on the South Park RPG, and as a programmer, its casual nature doesn't influence me in any way. And as a Mature-rated RPG, it feels more like my old Troika games than a Teen-rated MMO. In a 2009 interview given to The MMO Gamer, you said "if you're not trying to make a work of art that is fun, and accessible, I don't think you should try." What is accessibility to you? After all, there is a significant difference in that regard between a Temple of Elemental Evil and a South Park RPG. The full quote was “I think if you’re not trying to make a work of art that is fun, and accessible, I don’t think you should try. You should worry less about the art, and more about how enjoyable it is." I was speaking directly to game developers who care more about form over function, who would rather have their game look good than be fun to play. These are the people who would remove a compelling game feature because they could not make the art look perfect. That's so opposite to my way of thinking that it took me a long time to even realize there were developers like that. I care more about a game being fun than being beautiful, because no matter how good you look, people will move on to the next pretty thing and forget about you. If you make a fun game, people will remember that. And a fun game needs to be accessible, by which I mean that game had to present its rules clearly and then follow them. Don't give me a gun and then force me into dialogs. Don't let me stealth and then put in a boss who can see hiding creatures 100% of the time. Don't give me the power of flight and then force me into an underground dungeon. To me, a fun and accessible game teaches the player how to play it, lets them choose their own way through it, and then reward them for it. I would also like to ask you about introducing political issues to video games. You have done it a few times, in Fallout and Arcanum in particular. You seem fine with that, but do you have limits? Have you ever encountered a case where it was done over the top? I am fine with adding political or social statements into my games, especially if such statements reinforce the game's setting. Fallout was a post-nuclear world, a product of governments lying to each other and their constituency, so of course political comments are going to be made by the characters. And in its lawless environment, people are going to act more towards their baser natures, so we have an opportunity to explore that. As the creators of the setting, you could almost say we have a duty to fully explore the nature of the setting, so ignoring those issues would make the characters seem less real and the setting more contrived. For turn-based CRPGs, do you prefer ToEE's full party control or Fallout's single controllable character with followers? What do you think are the strengths and weaknesses of the two models? I like both models, and it really depends on the system. For a game with classes, I like making parties because that's the only way you can get the abilities and skills that you want. For example, if I want strong healing and stealth, I would probably have to take two different classes, and barring multi-classing, that requires two different characters. But with a skill-based game, I could make one character that had healing and stealth, and then I wouldn't need any other characters. In your experience, what are the common mistakes people make when designing a role-playing system for a CRPG, or adapting a licensed one? What questions would you recommend they pose to themselves and the system they are developing? Probably the most common mistake is misunderstanding the nature of a video game and how it differs in fundamental ways from tabletop games, movies and books.. For example, for the longest time, CRPG's that were based on tabletop games kept the dice-rolling mechanic of character creation. While that works great for a tabletop game where your friends are making characters together, dice rolling is not a good way to make characters for a computer game. Since nothing stops the players from re-rolling (even if it means stopping the game and restarting it), they would usually start the game with over-powered characters. Similarly for games based on movies and books, developers often try too hard to make the player perform certain actions or play a certain way, because that's the way the characters in the movie or book would behave. I've played games that are mostly cut scenes interspersed with some activity, and I always thought to myself, if I wanted to watch a movie, I would have watched movie. Games are interactive at their core, in a way that books and movies are not. What do you think about the current state of the CRPG industry? Are there certain trends that are worrisome to you or, on the contrary, that you especially appreciate? It's an exciting time for cRPG's. There has been a rise of independent cRPG development, which until recently had been pretty scarce (with Spiderweb Software being a notable exception). I think there are more single player cRPG's again, after we passed through a decade or so of multi-player emphasis. I am a little worried that cRPG's are getting too action-oriented, with the player's skill trumping that of his character's. But as long as that is just one kind of cRPG, I don't mind if people like to play those kinds of games. I just want good, single player, character skill based role-playing games to be released too. I would also like to thank MMXI for his detailed feedback on the first version of the questions, as well as everyone who submitted their questions for this interview. We even used some of them.